Last regular performance of 2014 at the Band Shell at the Buckland-Shelburne Elementary School. Photo credit Shelburne Falls Military Band facebook page. 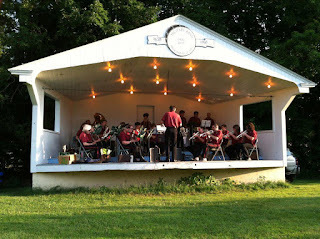 Summer in the Shelburne Falls area is not complete without catching an evening performance or two of the Shelburne Falls Military Band. 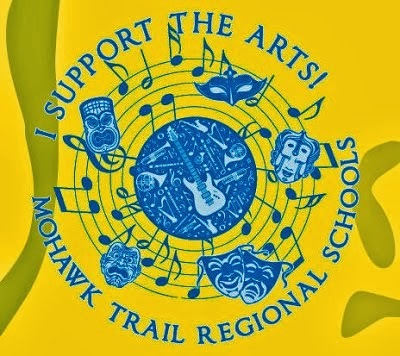 Did you know many of the Band members are Mohawk alums? There are seven more opportunities to hear the Shelburne Falls Military Band perform this summer. Wednesday, August 5, 7 PM Shelburne Center @ the Grange on Little Mohawk Rd. Wednesday, August 12, 7 PM Buckland Center @ Mary Lyon Church on Upper St. Check out their photos posted on facebook of performances around the area in the past few years.